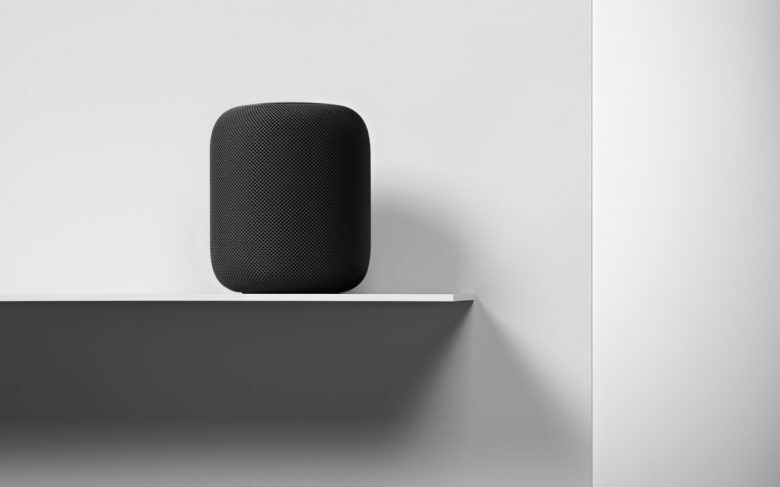 Apple may have been late to the smart speaker game but its HomePod is showing signs it could one day outperform them all. But only if Apple gives Siri the power. In Loup Ventures annual smart speaker comparisons, Google Assistant understood all 800 questions and answered nearly 88 percent of them correctly. In its first Loup Ventures test, the HomePod with Siri at the helm misunderstood just three questions and managed to answer correctly nearly 75 percent of its queries. Google Home remains the top performing smart speaker with the HomePod second. It just passed the Amazon Echo and Alexa by a couple of percentage points. The Invoke with digital assistant Cortana was fourth. Apple has been tweaking Siri and the company’s push to be a leader in artificial intelligence has directly fed into the rise of Siri’s IQ. This past summer, in a test of digital assistants on mobile devices, Siri jumped more than 10 percentage points from its previous score. The top four smart speakers were peppered with questions in five categories: local, commerce, navigation, information and command. Most of the questions misunderstood by the speakers included a proper noun, such as the name of a local restaurant. But Loup Ventures noted improvements across all speakers in voice recognition and language processing. Siri will need more from Apple if it is ever going to push the HomePod past Google Home. 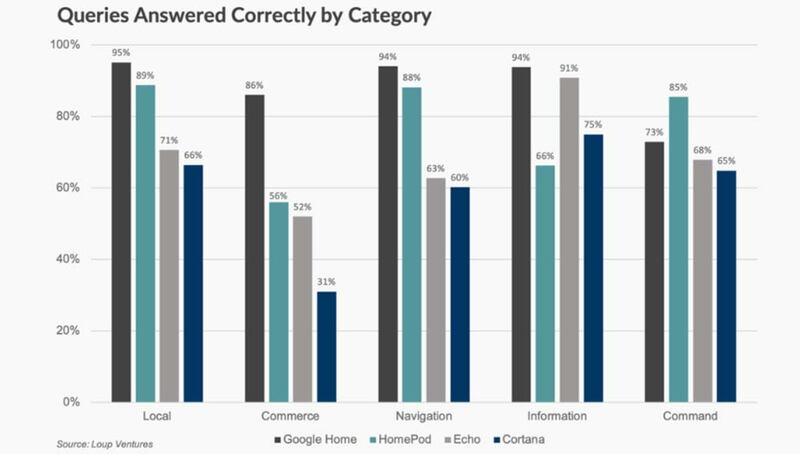 Google Home was tops in four of the five categories but fell short in the command category to the HomePod. HomePod was weakest in the information and commerce categories, with some questions answered with I can’t get the answer to that on HomePod. Loup Ventures says Apple limits Siri’s tasks on HomePod, making it more of a home speaker than a smart speaker.